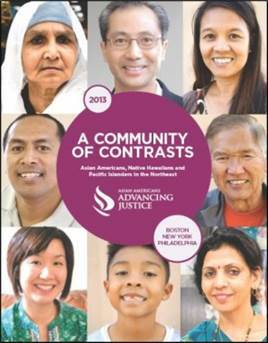 The Asian American Federation, in collaboration with Asian Americans Advancing Justice and the Asia Society unveiled their latest research reoprt: A Community of Contrasts: Asian Americans, Native Hawaiians, and Pacific Islanders in the Northeast, 2013 which compiles the latest data on growing Asian American and NHPI communities in New York, Boston, and Philadelphia. This is the fifth in a series of reports that strive to make disaggregated data more accessible in order to promote better understanding of our communities, and to help policy makers, government agencies, service providers, and other stakeholders better respond to and serve the needs of Asian American and NHPI communities. The program included a presentation of key findings from the New York section of the report, followed by a panel of local community leaders who spoke about the implications of the data for their work and the communities they serve. 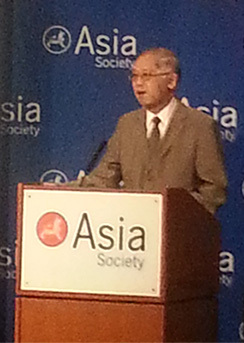 Special thanks to all of the sponsors who made the report and luncheon possible: the Wallace H. Coulter Foundation, the Chung Ying Tang Foundation, and Bank of America.